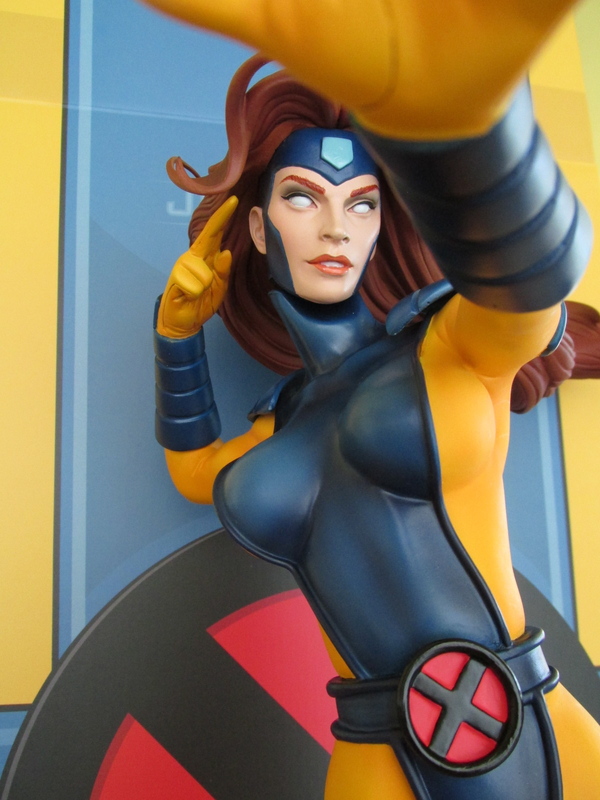 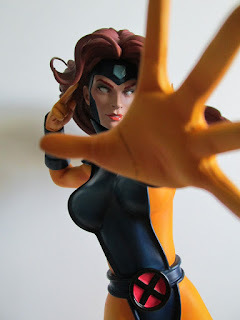 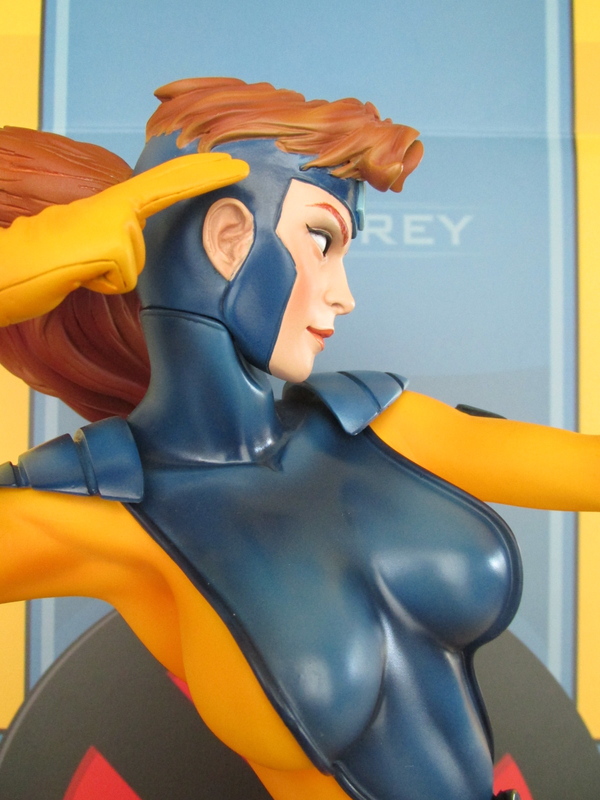 Sideshow Collectibles has finally released its next X-Men Premium Format Figure in the form of Jean Grey. 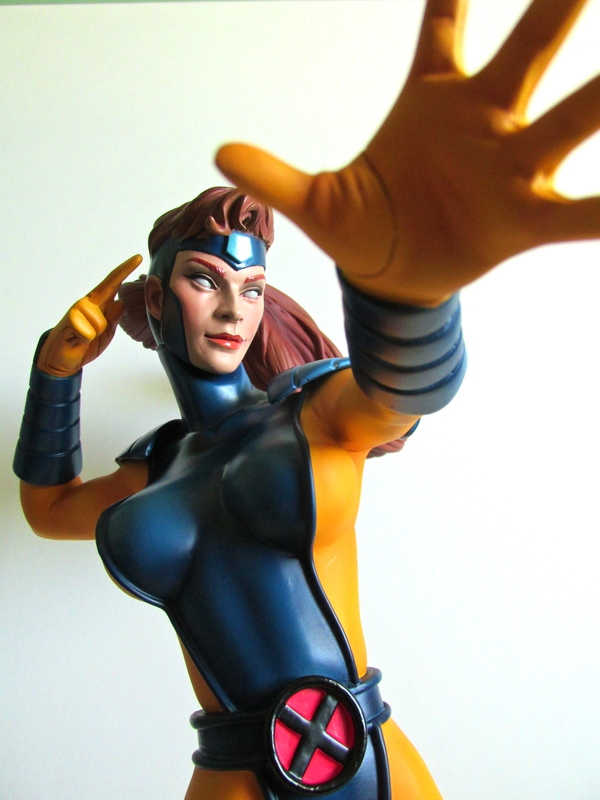 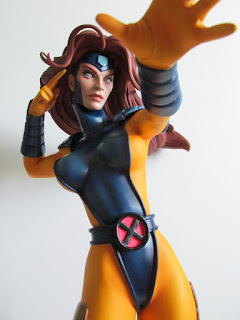 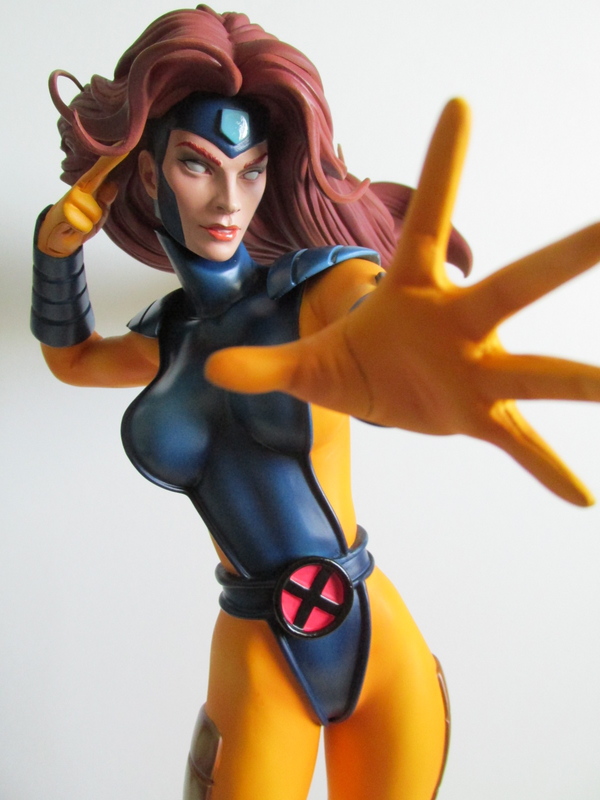 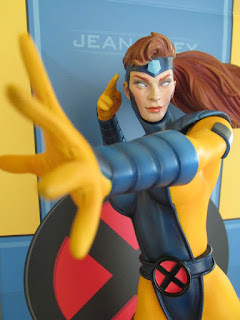 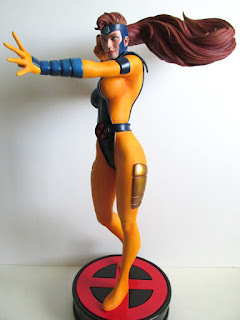 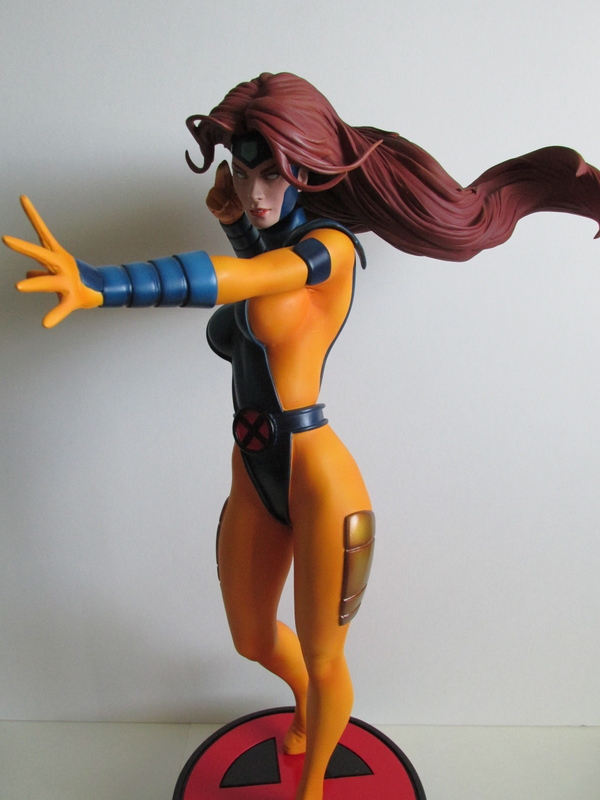 This Jean Grey is based on her 90's Jim Lee look complete with blue and yellow spandex. 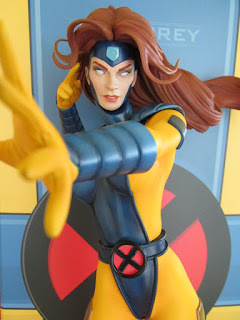 As usual, the paint job on this figure is great and is a really clean look. 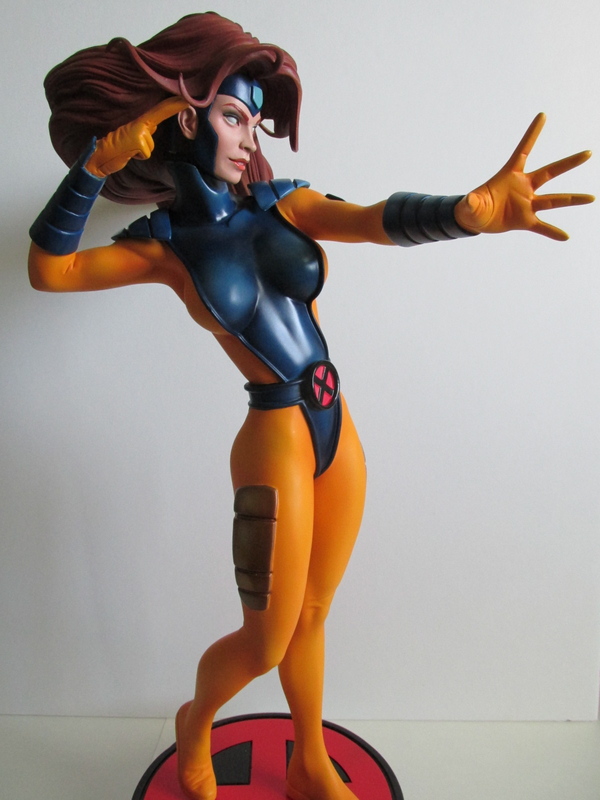 Usually Premium Format figures are mixed media statues, but this figure is just a straight sculpt with no fabrics. 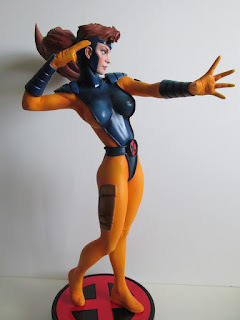 This mostly has to do with the fact that there aren't any true materials to replicate for this costume that would be easy or make any true difference. You can also see the seams on the costume that have been sculpted in detail especially in the gloves. The base is a nice solid, circular base with a red, "X" symbol. 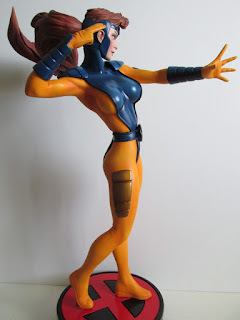 The base is nice since its small and will be easy to display in a case. The face sculpt is another real treasure to behold. There were some mixed reactions about not having pupils in her eyes, but in hand it looks fine and is still identifiable as Jean Grey. In some angles she can look a bit angular and blocky, but it still doesn't deter its presence. A lot of this has to do with her subtle yet iconic pose. 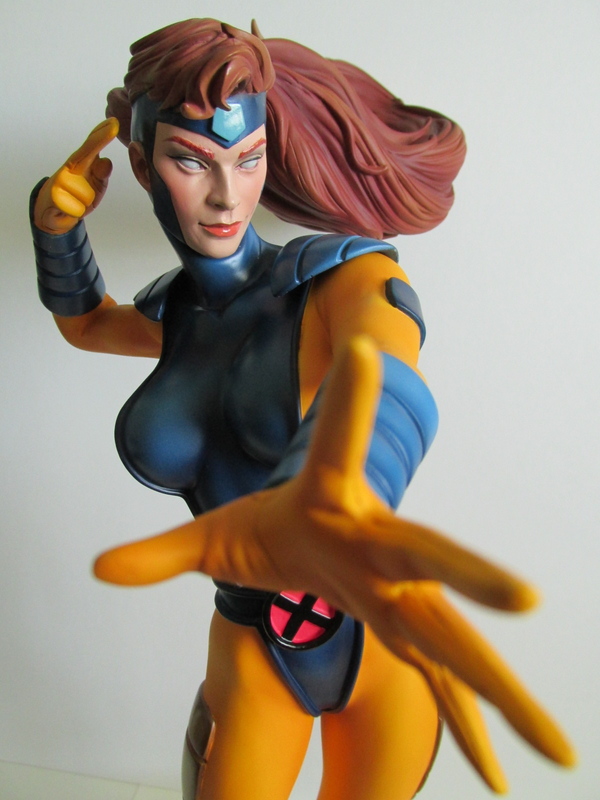 The pose is nothing too flashy, but its enough to invoke a striking image worthy of one of the most powerful mutants in Marvel history. 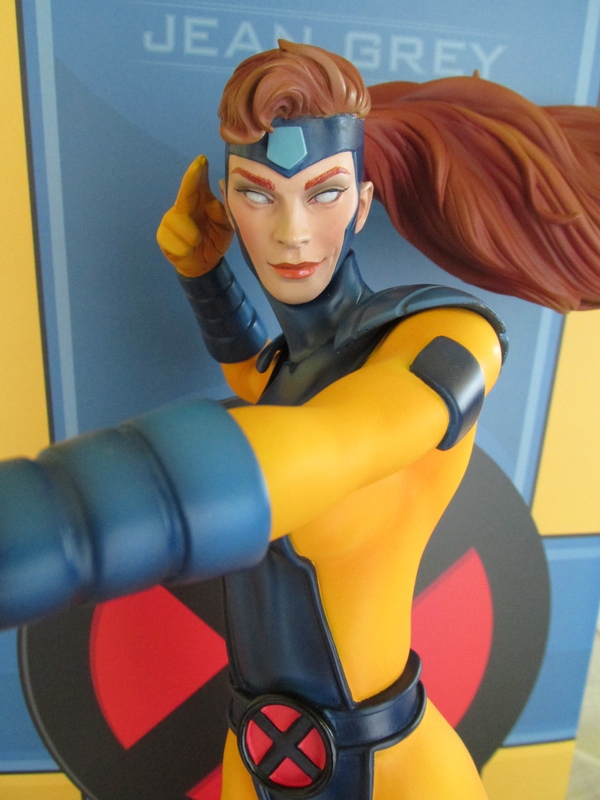 The Sideshow Exclusive came with another head sculpt done in her 90's X-Men the Animated Series look with her hair done in a pony tail. I can't decide which head looks better because they both look great and in person its quite amazing to see how long her hair extends out to. 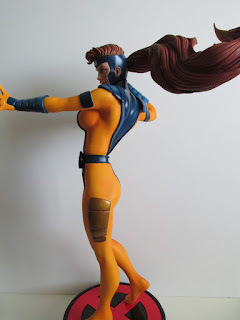 The only trouble I had with this figure was putting on the non exclusive head sculpt. 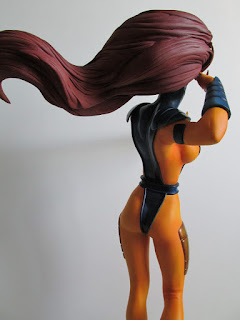 For whatever reason, I had a hard time putting the head on the rod. It's a little nerve racking to try and force the head on, but I managed to nudge it on and ease it into the rod on the neck. Jean Grey fans I'd say its time to get in on this...however, I wouldn't be surprised if a Phoenix statue was to be made. 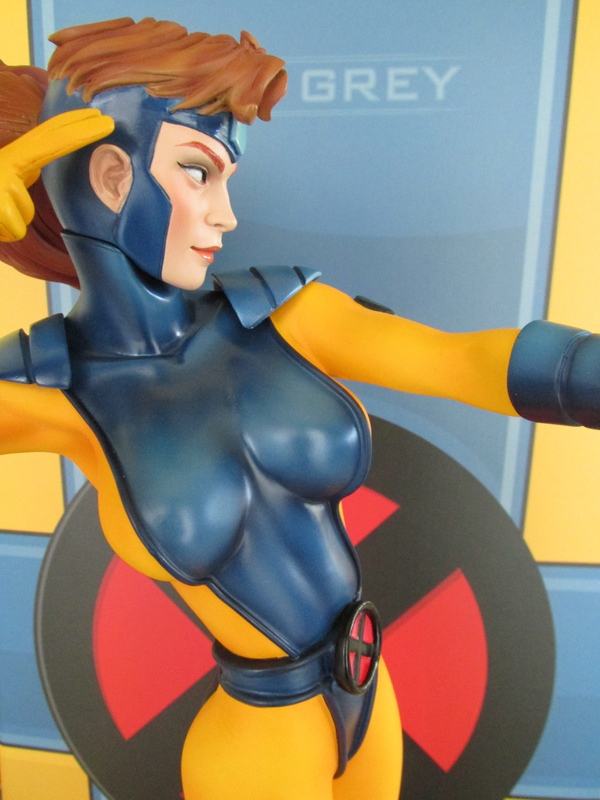 Sadly this figure and the non exclusive is currently sold out on Sideshow. 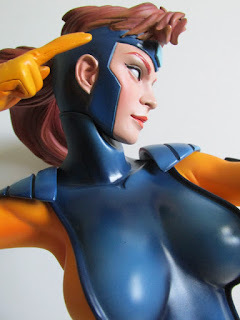 Best try your luck on Ebay.